Chianti is surely Italy’s most famous wine name. This 70,000 hectare region in Tuscany around the cities of Florence, Pisa and Siena, was established as a wine region in the 18th century. Such was the success of the wines, that many areas made ‘Chianti’ even though they lay outwith the zone. So in 1932, seven very specific sub areas where created in an attempt to tighten-up the classification. Of these, Chianti Classico has become the best known and today boasts around 7,000 hectares of vineyard and over 600 growers. Since 1996 Chianti Classico has had its own production code that differs from the rest of Chianti. One important difference is that the broader Chianti zone still allows the use of white wine grapes in Chianti as well as a minimum of 75% Sangiovese, whereas in Classico only red grapes can supplement a minimum of 80% Sangiovese. Tuscany is, of course, a stunning and evocative landscape, dotted with sunlit stone farm houses with their terracotta roofs, lines of imperious, elegant cypress trees and carpeted with gently rolling fields of vines. It is a landscape that feels truly timeless, especially as passing through the ancient cities of Florence or Siena, which mark the northern and southern boundaries of the Chianti Classico zone, is the happy duty of most UK visitors. It is also a gastronome’s delight with the wonderful olive oils (many from wine estates), white truffles, mushrooms, beans, cheeses, wild boar and hams. There are various sub-soils across the Chianti region, including marl of layered sandstone with some chalk and clay (Galestro) and a blue-grey sandstone (Macigno) and a clay-limestone called Alberese. The surface tends to be chalky, with gravel and pebbles. The soils don’t correspond precisely to the geographical/administrative zones of Chianti of course, and the altitude of the vineyards ranges from 820 to 1,968 feet. The weather in Tuscany can be very hot, reaching 35c during July and August, but the night temperatures fall quickly, so vines do not stay in a heat-stressed state. There is normally adequate rainfall of around 30 inches per year, but the last few years have seen a slight drought. This is echoed in other European and world regions, and climate change is cited by many as a factor. In Chianti, Sangiovese is king. Sangiovese is one of Italy’s superstar grapes, appearing under various guises with its synonyms including Brunello, Montepulciano, Morellino, Pignolo, Sangioveto, and Prugnolo Gentile. Each of these types has various clones, and so the Consorzio Vino Chianti Classico set about a programme to rationalise, develop and approve certain clones for use within the Classico zone. The ‘Chianti Classico 2000’ project started with a bank of 239 clones that could be identified, and five years were spent on planting and agronomical studies, plus fermentation trials. Eventually only seven clones were approved by the Consorzio as suitable for the region’s soil types and microclimate. Since 2002 it is permitted to have Chianti Classico made from 100% Sangiovese, though the minimum is 80%. The balance of the blend can be made up of any red varieties from around 40 that are approved. These include international varieties like Cabernet Sauvignon and Merlot, and local varieties like Canaiolo. The Consorzio’s membership contains some who would like to see a reduction in the use of international varieties, which is one of the forces behind the project to improve and identify better clones of Sangiovese. The DOCG red wines of Chianti are not the only story. Another historic wine of the region is Vin Santo, a sweet white wine made from Trebbiano and Malvasia. The grapes are dried for several months after harvest (traditionally in the lofts of winery buildings) before long ageing in small oak casks. 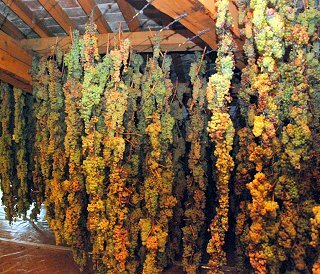 The photograph left was taken at Castello della Paneretta, the air filled with the sweet fragrance of the drying grapes. But there is a modern addition to the Chianti area’s wine family that began life only in the 1970s, as something of a protest movement. At that time a maximum of 70% Sangiovese could be used in Chianti, and of the balance, a minimum of 10% had to be grapes that would normally be white wine varieties. Those producers who wished to make 100% Sangiovese, or to eliminate white wine grapes from their blends, where unable to do so under DOC regulations. And so a new breed of wine for the region was born, that could only be labelled as simple Vino di Tavola, but which was in fact ambitiously conceived fine wine such Antinori’s Sangiovese/Cabernet Sauvignon blend marketed under the brand name ‘Tignanello,’ and Tenuta San Guido’s Sassicaia. The popularity and commercial success of these Super-Tuscans shook the wine industry to its core, leading to changes in the Chianti Classico production laws and to the creation of a new classification for Italian wines called Indicazione Geografica Tipica (IGT). Somewhat akin to the Vins de Pays of France, IGT wines have less traditional production codes than the DOC appellations, and usually cover larger geographic areas. Ironically, many of the Super-Tuscans could now qualify as Chianti Classico since production laws were modified, but most estates prefer to retain the brand names – and prices – that their Super-Tuscans can achieve. I visited Tuscany as guest of the Consorzio del Vino Chianti Classico and visited a number of estates. There was no time to revisit some wonderful wineries I’d been to before such as Rocca di Montegrossi and Agricola Querciabella, and so although this group of nine estates is not exhaustive, it is perhaps representative of what is happening in Chianti Classico today. In part II of this feature there’s also a roundup of over a dozen Chianti Classico wines from other producers. The quality across Fontodi’s range is compelling, with only estate fruit vinified, all with natural yeasts. Two hand-sorting lines allow grapes to fall by gravity into steel tanks and only French oak is used in the cellars, sourced from six different coopers. The use of new oak ranges from zero in the Chianti Classico, to 100% in the Super-Tuscan, Flaccianello della Pieve. The Greve vineyards of Castello di Querceto are some of the highest in the area at 470 metres above sea level. The François family own Castello di Querceto, having settled in Tuscany in the 18th century from their French homeland. The castle, erected as a lookout point, helped defend the area. Today it is encircled by forests and still preserves its medieval appearance. Most of the vineyards were planted between 1975 and 1985, with Sangiovese, Canaiolo, Colorino and other local grapes. Cabernets Sauvignon, Franc, Syrah and Merlot are also planted, making a range of ‘IGT’ wines. 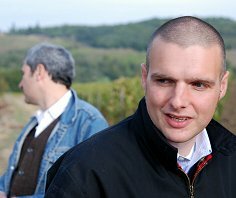 Having studied the microclimatic and physical aspects of the individual vineyards on the estate, Alessandro François (right) explains that he has adopted a policy of vinifying each one separately, and concentrating production on single-vineyard ‘crus’ that he feels express the different character of the sites. As a result and for many years now, Castello di Querceto has been producing four wines, in addition to Chianti Classico and Chianti Classico Riserva, that they refer to as ‘selections’ or ‘crus’. Forty percent of production goes to the USA, though this export-driven estate is in 42 markets worldwide. I thought the quality overall was high in these wines, though for me they lack just a little final polish. Young winemaker Nicola Berti (right of picture) likes the challenge of Sangiovese: “Sangiovese is a very difficult grape to grow,” he tells me. “It has an irregular berry size and ripening. 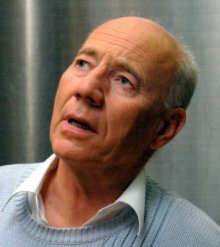 It is also tannic and can be difficult for the consumer: you cannot just open a bottle and drink it straight away.” He explains his take on Chianti somewhat poetically: “Chianti Classico reflects the people of the region: the people are shy, and don’t open up and laugh and joke with you immediately, but once you get to know them….” I enjoyed this range of wines, which had a certain gravely, smoky quality. Whether terroir or the higher proportion of Canaiolo is responsible I do not know, but these are distinctive wines, some of the older examples just touched by a little Brettanomyces that, thankfully, I did not detect in more recent vintages. Tommaso Marrocchesi Marzi (right) and his brother Frederico are the fifth generation of their family to own and manage this 220 hectare estate in Castellina in Chianti. Along with winemaker Stefano Porcinai, Tommaso has been replanting vineyards with Colorino, based on their own clones, and Sangiovese based on clonal material from the Corsozio’s project. Tomasso explains that this province gets around 25% less rainfall than surrounding areas of Chianti. Its exposure means that any weather fronts pass through quickly. His fondness for Colorino is because it is traditional in the area because it adds colour to the vineyards with its red autumn leaves, and colour to the wine. 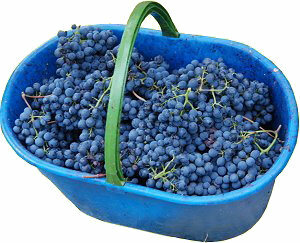 Its loose bunches mean air flows freely and there is little rot, so the grapes can hang on the vine longer. “It is fairly neutral in flavour,” concedes Stefano. Bibbiano’s vineyards are surrounded by their significant olive groves, with some 3,000 trees. The vineyard slopes face southeast and southwest, and electric fences around the whole estate keep ravenous wild boar at bay. My tasting here included small verticals of the Chianti Classico ‘Montornello’ and the Chianti Classico Riserva ‘Vigna del Capannino.’ The former is aged in Slavonian oak, the latter in French. The 61 hectares of vineyards farmed by Felsina are mostly in the Chianti Classico zone, though they have a few vineyards in Chianti Collo Senesi. Owner and winemaker Giuseppe Mazzocolin (right) explained that each has quite different soils, with rocky Galestra in the Classico zone and a sandy soils in Collo Senesi. He thinks a little clay in the ground of the Chianti Classico vineyards helped produce a finer fragrance in the wines. The name Felsina comes from the Etruscan language of around 4,000 years ago. There are records of a farm on the estate from the 11th century, though over time the buildings had been used as a community hospital and as stables. Today, a visit to Felsina shows stunning cellars – beautifully restored, but also immaculately clean. I noticed only the smell of wine many metres underground, not of damp as is often the case in such ancient cellars. See tasting notes for photographs. This is a large estate planted in the 1960s and 1970s, with an annual production of almost half a million bottles. The total area of 500 hectares also includes olive oil production, forestry and hunting, mainly for wild boar and deer. 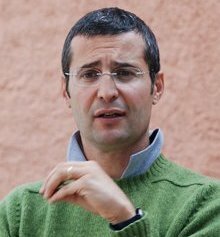 Interestingly listening to Giuseppe he speaks of “Sangioveses” plural, and explains that each vineyard is thought of, and vinified, as entirely separate entities. I tasted wines back to the 1990 vintage, and without a doubt these are some of Chianti Classico’s most expressive wines. This was a delightful visit, including dinner in the Castle with Coralia Pignatelli who purchased the estate with her husband as part of their retirement plan in 1968. Sadly, Coralia’s husband died in 1985, the year, Coralia recalls, that an extraordinary frost in the area meant olive trees had to be felled and burned for heating. Coralia Pignatelli is a remarkable woman, who was set against having her photograph taken and could only be cajoled into a group photograph. I hope she forgives me for the inclusion of that picture here. 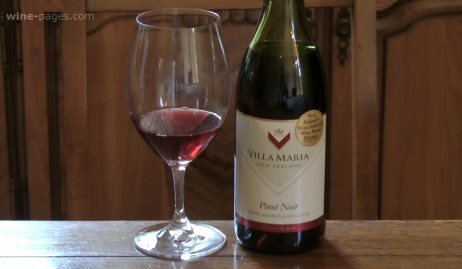 Describing herself as “owner, winemaker and saleswoman,” she tells me that neither she nor her husband drank wine when they bought the estate. “We simply wanted to retire to beautiful place and think about our future,” she says. That future turned out to include an estate of 52 hectares, planted between 1968 and 1974, almost all of it Sangiovese with a “tiny bit” of Cabernet Sauvignon. Coralia cites Giacomo Tachis, sometimes referred to as ‘the father of super-Tuscan wines,’ as her tutor. “He was a great winemaking friend, and a student of Peynaud,” she tells me. Today she tries not to inoculate with yeast, but to ferment with natural yeasts in stainless steel, at low temperatures. Most wines go into large oak casks for three years in total, though there are some barriques for a couple of her cuvées. These are not ‘old-fashioned’ Chiantis, but they are rooted deep in tradition and are beautifully made wines. The Sderci family has made wine for 100 years, but Alessandro Sderci (right) tells me he was the first generation to see it as a commercial prospect, and planted vineyards in 1972/73. 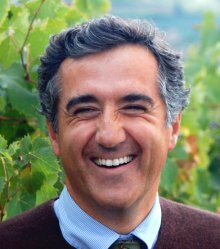 Alessandro is, however, a part-time vigneron, working also as a banker in Florence. This is one of few vineyards I saw with lots of grass and vegetation between the rows, as Alessandro uses minimum herbicides and pesticides. He says that here in the village of Monti in Chianti, 20 kilometres north of Siena, there are very healthy conditions with little rain, a warm climate and a constant breeze, so it is not difficult to farm organically. The estate also produces grappa and olive oil. When he started Podere Il Palazzino he employed an oenologist consultant, but says he felt it was “too much like a doctor who treated each symptom but didn’t see the whole picture.” The consultant suggested use of selected yeasts for example, with which Alessandro doesn’t agree. “After 30 years of working these vineyards, I am now happy that I know how to make a wine from them as well as anyone.” In 1980s Alessandro produced Grosso Sanese, a super-Tuscan table wine from Sangiovese. However, this is one of the few estates that re-classified as Chianti Classico when the rules changed. “Unfortunately IGT makes more money,” he shrugs. Stefano Capuso (right), MD of Barone Ricasoli conducted my visit. Today, Ricasoli is in the private family hands of the Barone Francesco Ricasoli, but only after many years in the wilderness. Around 30 years ago the Ricasoli family sold to Canadian drinks giant Seagram – though only the winery and brand, not the magnificent castle, land or vineyards. 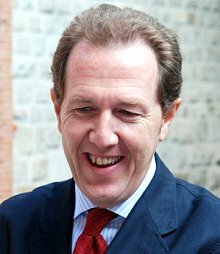 Stefano hints that this period saw a steep decline in quality, with Seagram demanding Ricasoli produce 14 kilograms of grapes per vine, and paying very little for it. When Barone Francisco bought the brand and winery back, he reinvented the vineyards, dropping yields to just one kilogram per vine. The Ricasoli family has been synonymous with the town since the 12th century, and still lives in a small part of the castle it in the summer. The current Barone’s ancestor, Barone Bettino Ricasoli, is credited as the first person to write the Sangiovese-based ‘formula’ for Chianti Classico wines. This is a now one of Chianti’s most prominent estates, dominating the settlement around the Castello di Brolio with their winery, tasting rooms and a very good restaurant. The winery has been refitted and is now gravity fed, with lots of small tanks to vinify separate parcels of those concentrated grapes. 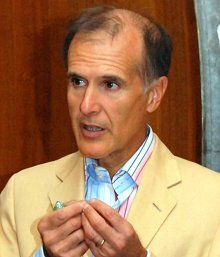 Stefano says that supplying the ‘middle market’ is the toughest: “The high end is not a problem, especially with additional high demand from Korea, Russia and Japan, where demand is outstripping our production.” These are superb wines and a great vindication of the Ricasoli family’s decision to reclaim their heritage. Lorenzo Cattelan (right) and his wife Monica gave up their family furniture business in the Veneto and made the move into wine in pursuit of a better way of living their lives. Settling in Castellina in Chianti they bought the Colle Lungo farm, which can trace its history back to the 14th century. Today it is a wine estate and an ‘agritourismo,’ with simple rooms to rent amongst the perfect peace of the vineyards. The agritourismo opened in 1996, and their first wine vintage was in 1997. Nineteen of the farm’s 94 hectares are planted to Sangiovese, with a couple of hectares of Merlot too. Soils are classic Galestro and Albarese. 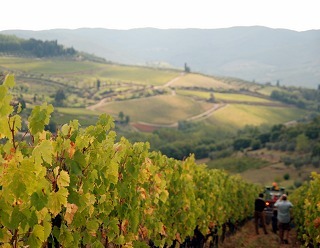 An average altitude of 540 metres gives relatively cool conditions, and planting has been increasing in density, the latest vineyards at over 5,500 plants per hectare. Mostly French oak barriques are used for maturation in the cellars. 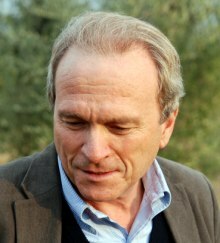 Lorenzo works with winemaker Alberto Antonini, formerly of Antinori in Tuscany, producing Chianti Classico that blends a little Merlot with Sangiovese, and two Riserva bottlings, a regular, all-Sangiovese Chianti Classico Riserva and a single-vineyard Sangiovese cuvée called Campo Cerchi, made from grapes harvested very late to ensure maximum ripeness. Most of the estate’s Merlot goes into an IGT bottling. This was my second visit in the past couple of years to Vicchiomaggio, the substantial and elegant estate owned by John Matta (right), the London-born son of an Italian wine merchant, who was responsible for the introduction of Campari to the UK. John is a charming host at this luxurious estate which has apartments to rent and a very good restaurant. John explains that his father sold-up when Beechams – now known for their pharmaceutical products – bought his wine business, and so the family moved to Vicchiomaggio, which they had owned since 1964. Of its 150 hectares, 30 are planted to vine. John also owns 10 hectares in the Maremma making Morellino de Scansano and an IGT wine from Bordeaux varieties, particularly Petit Verdot. But here in Greve in Chianti the focus is on Sangiovese, with a rolling re-planting programme in place using the Consorzio’s recommended clones and higher densities. 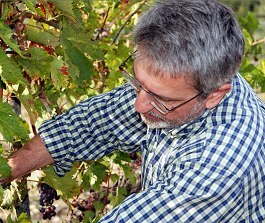 John studied winemaking at the agricultural college in Alba when he arrived in Italy, with the idea of one day taking over the running of Vicchiomaggio. 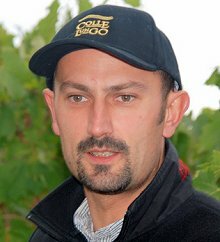 He explains that the estate can harvest late because of relatively cool conditions, but agrees with winemaker Nicola Berti of Castello della Paneretta that Sangiovese is a difficult grape to grow: “it need perfect slopes, perfect climate and the right terroir,” he says. As well as these visits to some of the most interesting estates in Chianti Classico, the Consorzio del Vino Chianti Classico presented a tasting of wines from other estates at their offices in a beautiful old farmhouse in San Casciano. We tasted 14 wines, Chianti Classicos from the 2006 vintage and Chianti Classico Riservas from 2005 and 2004.